I had such a productive weekend I feel like a new woman today. I need to do some catching up from Saturday’s dinner, but I am going to start with Sunday morning first. Excuse me as I jump around throughout the post. Jump, jump everybody jump! 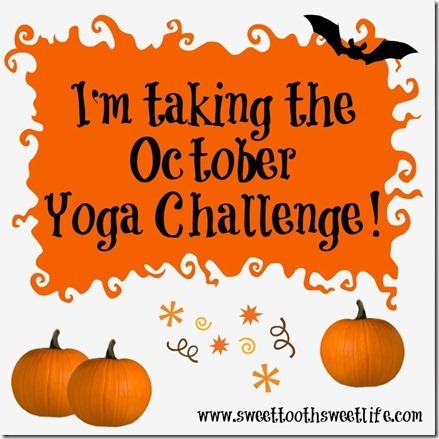 It was my last chance for the week to get my yoga on in order to meet my October Yoga Challenge, so first thing in the morning I headed to the living room to set up. The routine before a yoga session is to push all of the furniture aside, get Moose’s toys off of the carpet, and vacuum the area. I love our pup but he sheds like a maniac so vacuuming often is necessary in our house. I turned the heat up in the house to create a “hot yoga” atmosphere, and got moving to yoga OnDemand. This particular session focused on jump kick-backs aka burpees. It was a 22-minute session and it really got me sweating! I guess that could have been because I cranked the heat up too. Either way, I was still sweating. I got in my weekly session and it felt SUPER once again. After yoga, Dana and I took a trip to Caribou Coffee to get our BOGO on. First, yoga, then BOGO. I am still trying to be careful with dairy in my diet so I ordered a french roast with sugar-free hazelnut. I did put a touch of cream in my coffee when I got home. I love the creamy smoothness that cream adds to the coffee. As much as I’ve tried to switch to almond milk, or no milk, or no cream, I just don’t enjoy it as much as I do with the cream. So, I’m sticking with it. It’s my special treat in the morning. 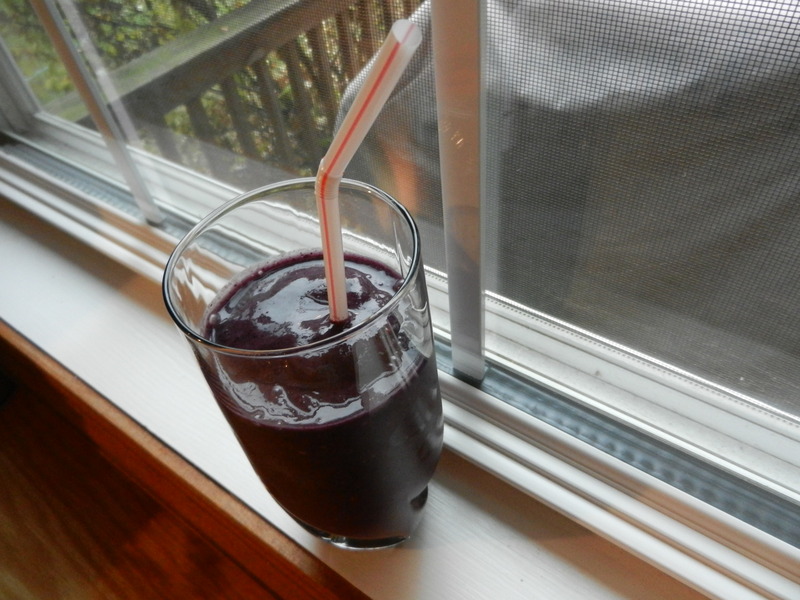 To go along with my coffee I made myself some breakfast: a smoothie with blueberry, strawberry, banana, almond milk, crushed ice, and a tablespoon of hemp protein powder. Fabulous. Saturday was an incredibly productive day. After getting organized at work on Thursday, then seeing a guest on Rachael Ray’s Show demonstrating how to organize your home in no time, I was inspired to tackle my own home. Throughout the weekend, Dana and I organized: the front closet, the kitchen cabinets, my desk, my closet, the guest room closet, and the dining room cabinets. Not bad right? We also went crazy on the backyard and cut down all of the plants for the winter. Sort of bittersweet. 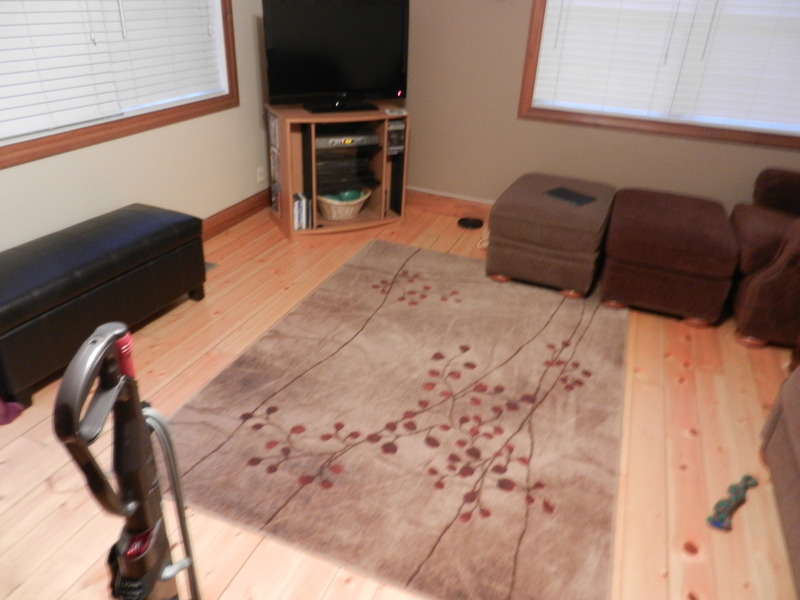 It’s amazing how good you feel after getting your house reorganized. Now, to keep it that way. Now, reverse back to Saturday evening. Let’s talk about dinner. After spending the day cleaning and organizing, I was in the mood for a hearty meal. I took the inspiration from my cute little turkey meatloaves to create this bomb of a dinner, and I mean bomb in a good way. 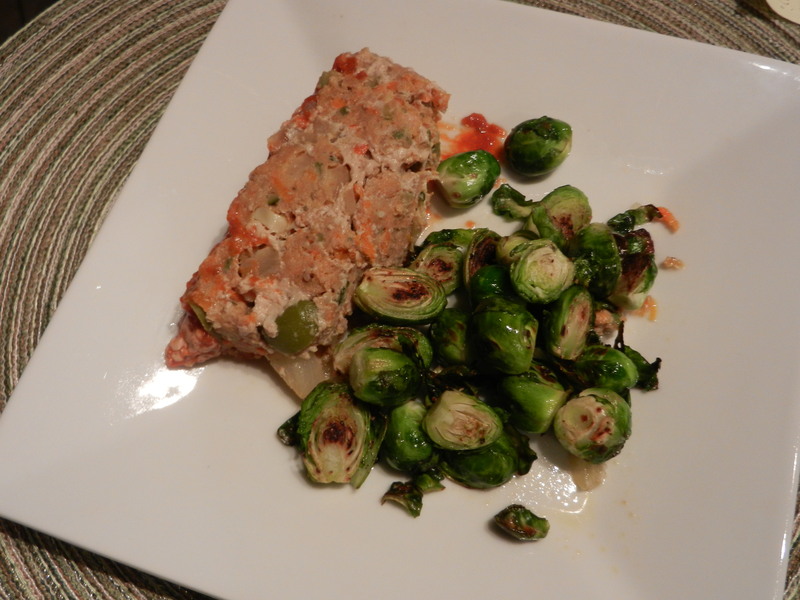 I included carrots, zucchini, onions, and olives in this meatloaf and it turned out great! Parents, if you have a picky eater and are looking for a way to camouflage some veggies into their diets, this just may be the way to go. The veggies add a bit of a light crunch to the loaf, and all of the flavors from the veggies, seasonings, and meat all meld together to form a perfect combo. Plus there’s ketchup in meatloaf, kids love ketchup. 🙂 As do adults (right, Kev?). Last weekend, Dana and I stopped at the farmer’s market in our area. We bought a few squash (that I still need to use) and a carton of brussels sprouts. Since I was set back this past week with the stomach bug, we didn’t get around to cooking up those sprouts, so we pulled them out on Saturday. I washed and trimmed the ends and let them drain. I then sauteéd them in a small amount of coconut oil and simply seasoned with salt and pepper. 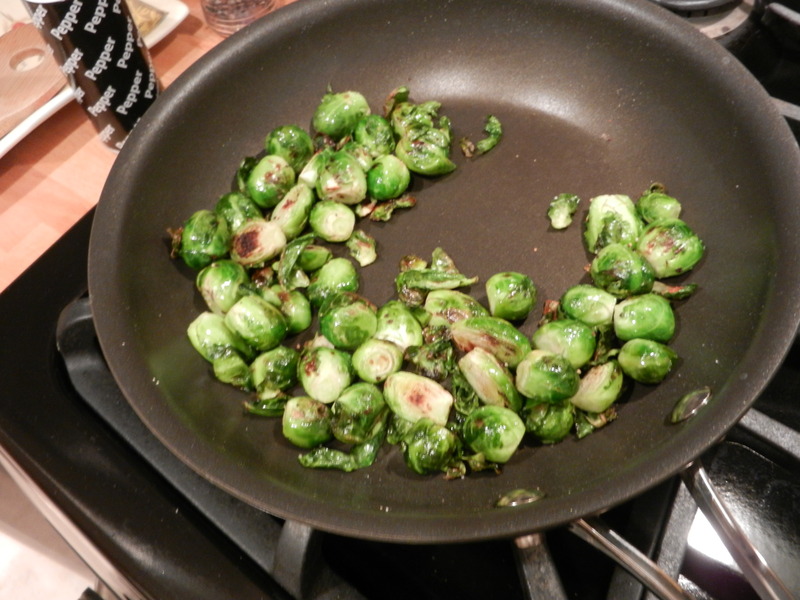 I only used about half of the brussels sprouts in this side dish, so I froze the unprepared ones for a later time. They freeze perfectly. Such a cozy comforting meal on a cool fall evening, and so very tasty too. I’m all about that lately. Did you check out my soup from Friday night? NUM! Preheat oven to 350 degrees. Lightly grease standard bread loaf pan; set aside. Combine all "loaf" ingredients; do not over-mix. Mix together topping ingredients. Spread over loaf. Bake for 1 hour and 5 minutes, then place under broil for 2 minutes. Remove from oven and let sit 5-10 minutes before slicing. I am off to take on this Monday once and for all. I hope you have an enjoyable day. Check in with you all soon! This entry was posted in Breakfast, Dinners, Home Life, Recipes, Workouts and tagged Caribou Coffee, Fit Approach, Meatloaf, October Yoga Challenge, Smoothie by Melanie. Bookmark the permalink. Hi Patrice! I am thrilled to hear from you! I also eat low-carb as you probably have noticed and hope that I can continue to share some delicious recipes with you. I hope you are all well. All my love. Hi Melanie! The meatloaf is amazing! 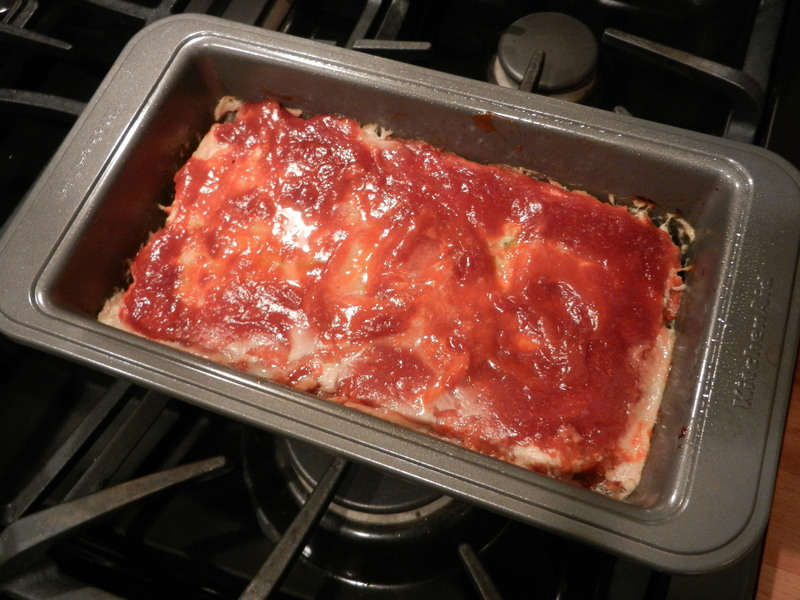 I used Heinz Reduced Sugar Ketchup and Splenda Brown Sugar but otherwise made it exactly according to the recipe. Just delicious. Thanks so much for posting it! We are all fine, just spread all over the country. Love to all of your family. That makes me so happy! I’m glad it turned out well. Have a great day, Patrice! Hello fellow yogi! I’m doing the yoga challenge too. That session you did looks like it was a great workout! Always nice to meet a fellow yogi! Thanks for stopping by! !